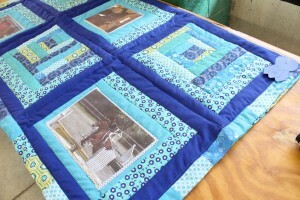 The Horse Sewing Contest provides an educational opportunity for participants to exhibit their sewing skills pertaining to the horse project and encourage participants to explore and develop economic alternatives for themselves and their horse.Items entered in the Sewing Contest must simply pertain to a “horse theme” and may be decorative or functional. Participants must have used a thread to join or attach fabric pieces together with stitches. Articles without stitching or that are glued together will be disqualified. For clarity: crocheting, needlepoint, knitting, weaving, macramé, etc. belong in the craft category. This contest is open to Cloverbuds and Junior and Senior 4-H members. Please thoroughly read the Horse Sewing Contest section in the NC 4-H Horse Program Rulebook (updated annually) for additional information on contest rules, regulations, submission procedures, etc. Please note that the online registration form must be completed and submitted by May 1, 2019 or your entry will not be received. Exhibits must be submitted to the NC State 4-H Horse Show on July 12 from 10 a.m. to 4 p.m. Entries to be judged beginning at 5:00 p.m.